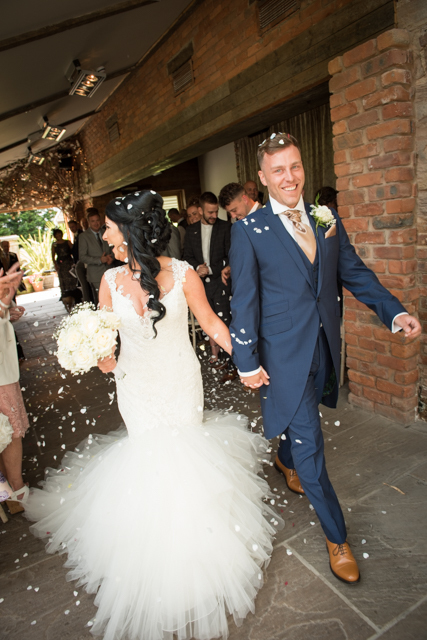 This is the wedding of stylish couple Rachael and Chris. 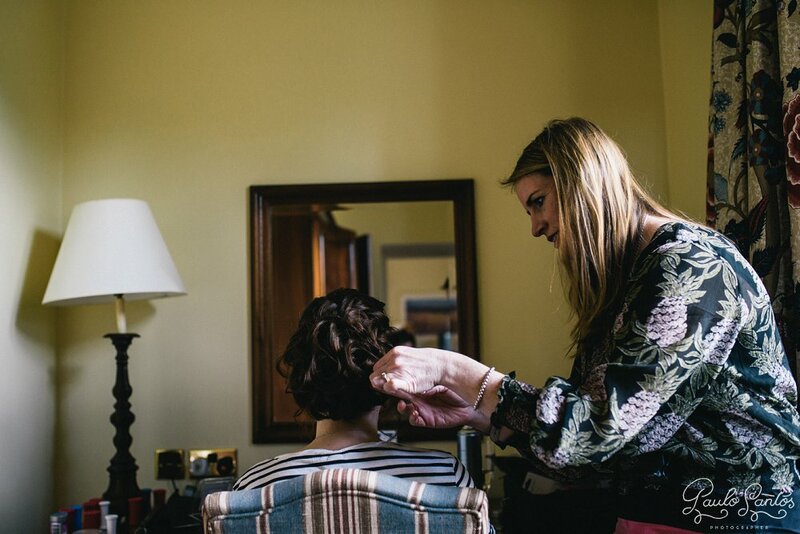 I had the honour of being a guest too, so that enabled me to style Rachael’s hair twice. 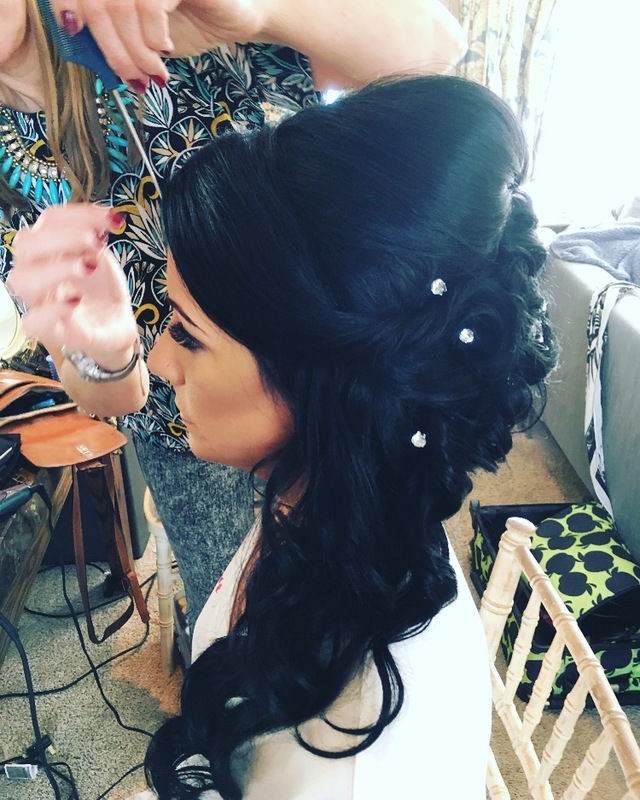 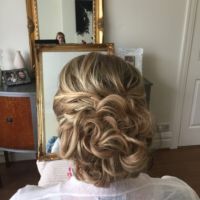 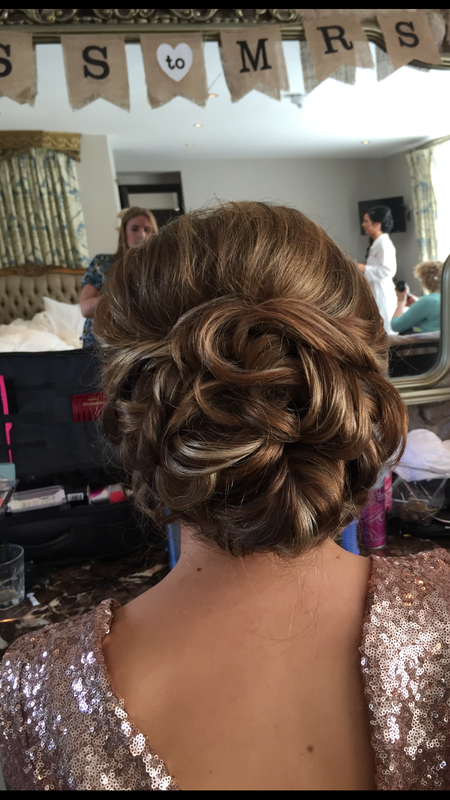 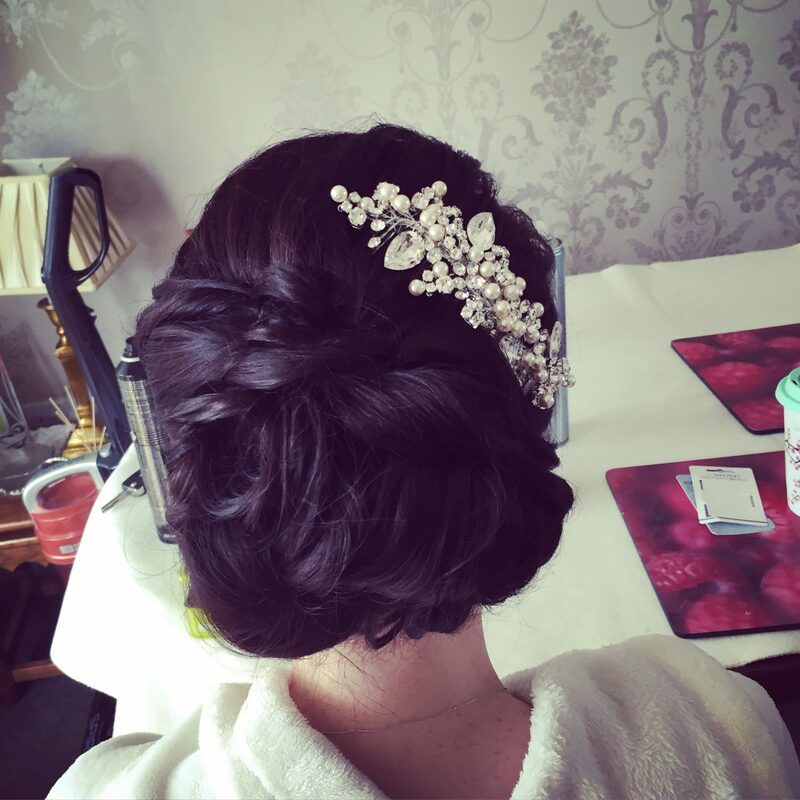 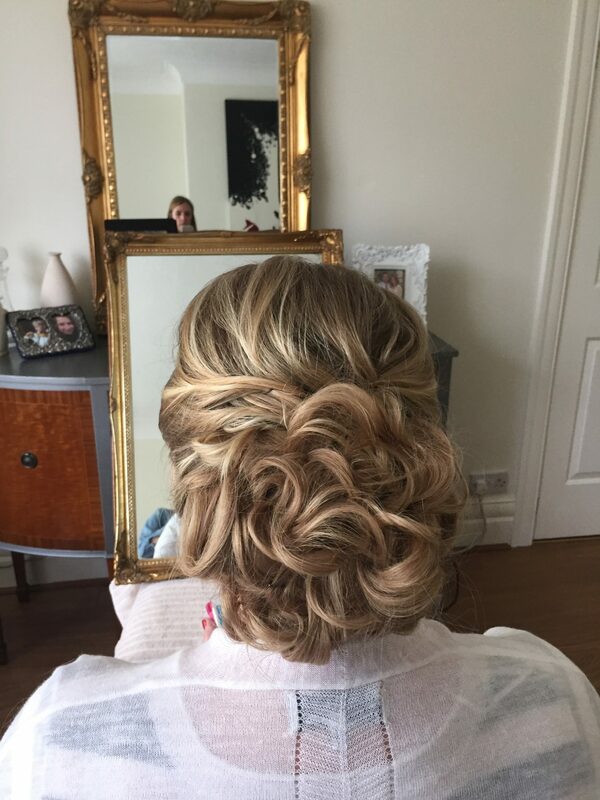 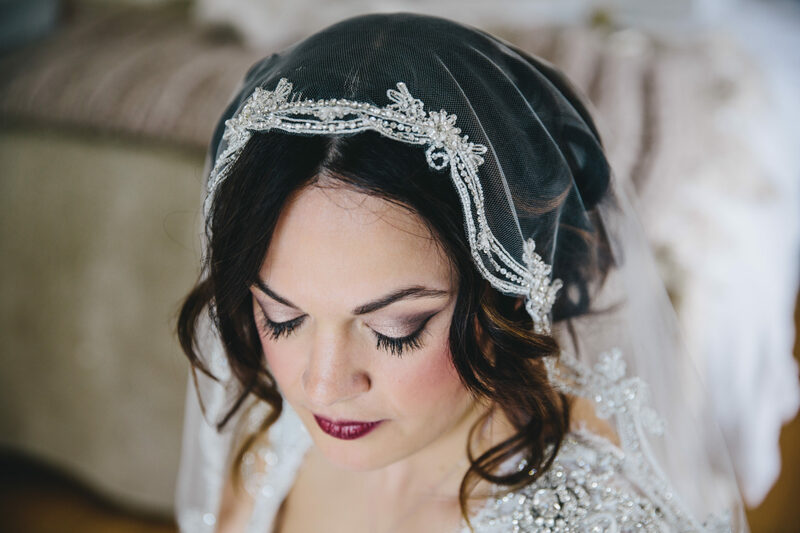 On the morning of the wedding it was styled in a beautiful, romantic, free looking wedding hair up do, to compliment her amazing dress and stunning veil. 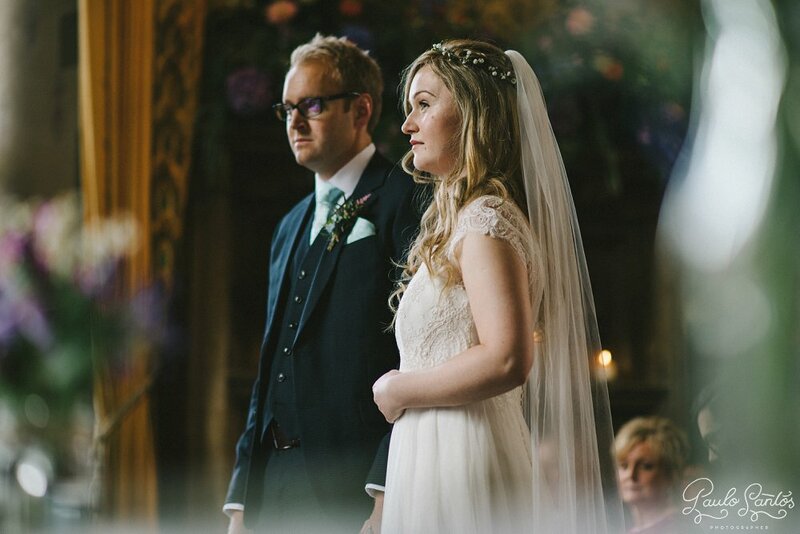 It worked so well with the gorgeous choice of venue Brinkburn Priory too. 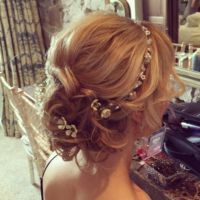 Her 4 Bridesmaids each had individual, looks but equally romantic wedding hair. 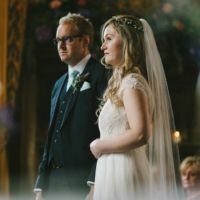 The wonderfully talented The Twins photographers kindly sent me a few stunning pro shots which you can see here. 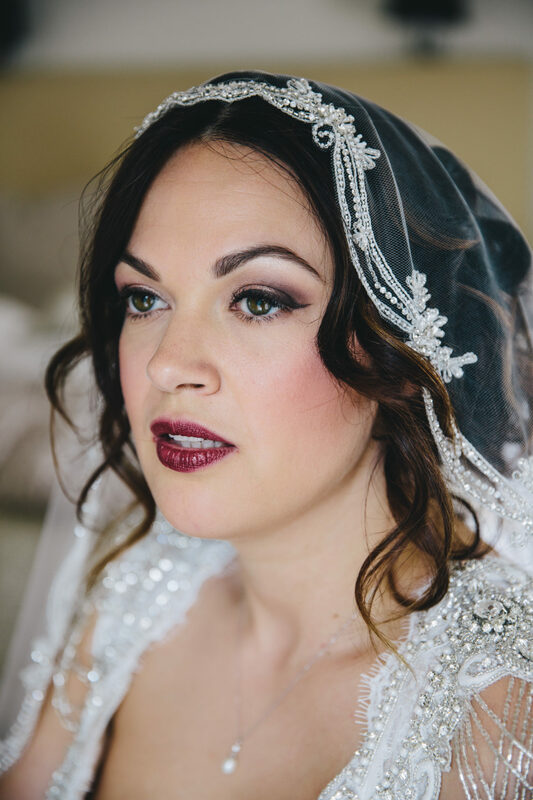 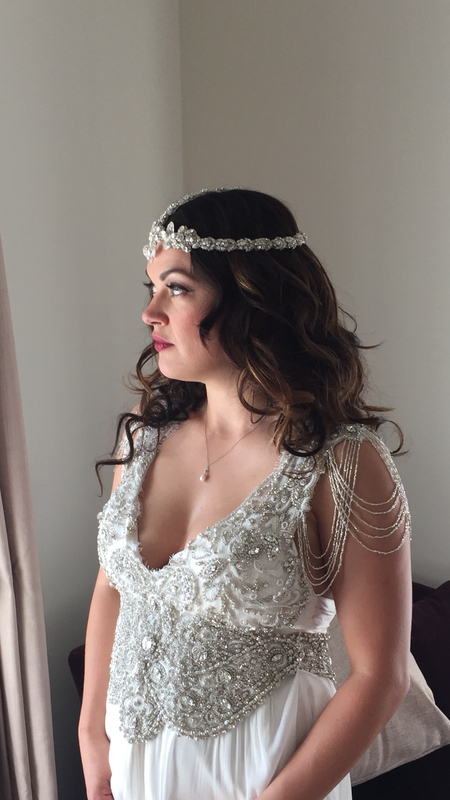 On the wedding night Rachael wanted a more bohemian look for her bridal hair, so I restyled it and added her gorgeous 20’s inspired head piece. 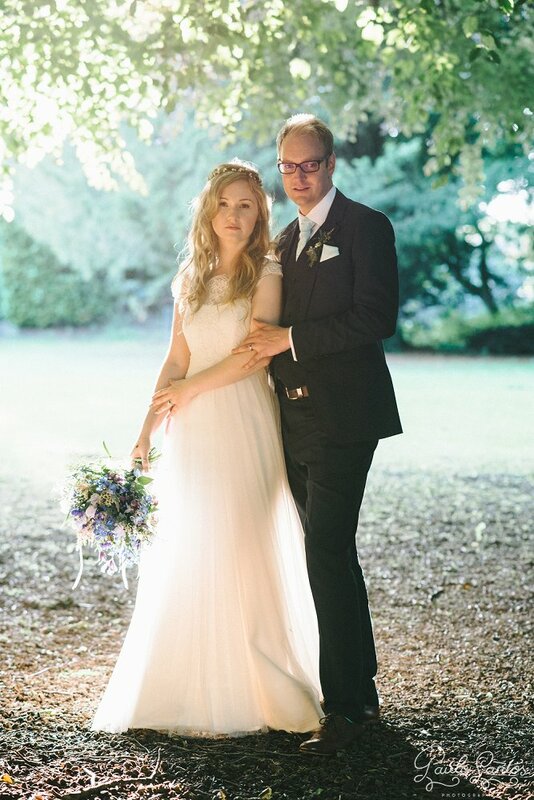 The wedding itself was so stylish and relaxed. 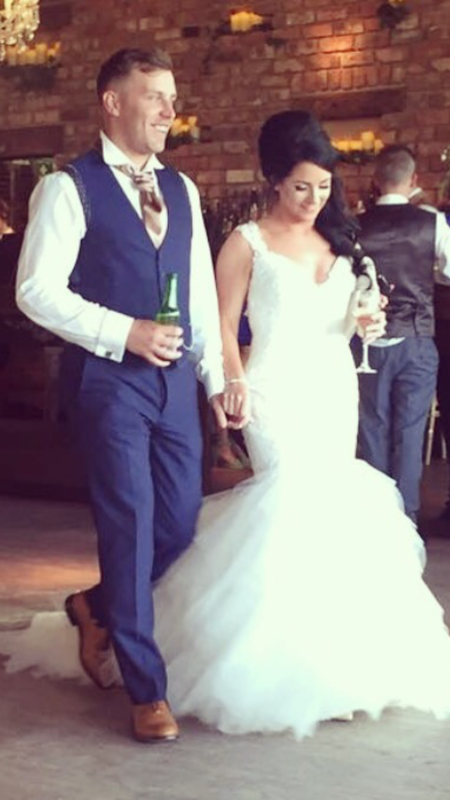 It was a fab day and I felt lucky to be a part of it! 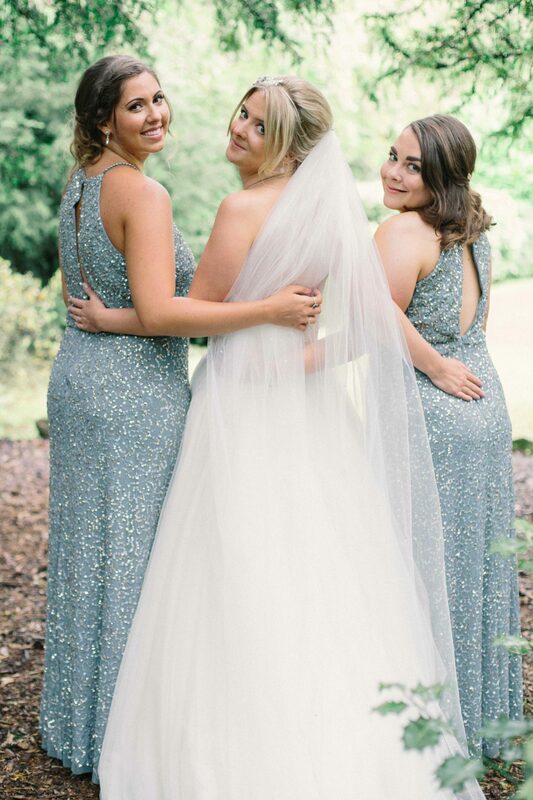 The gorgeous Rachel and her two bridesmaids got ready at home. 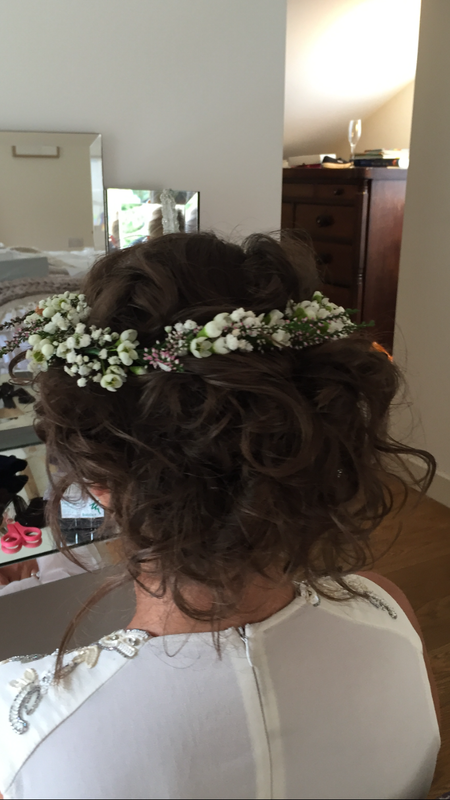 We’d already done a bridal hair trial for her a few months earlier so we knew exactly what she wanted. 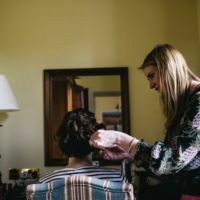 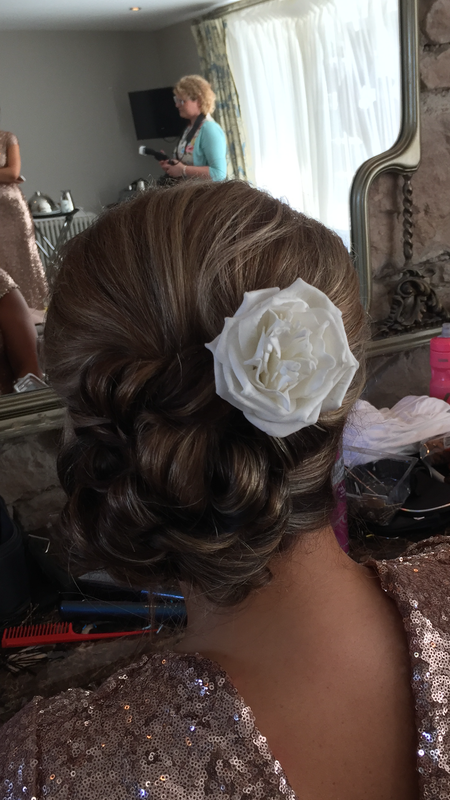 Her wedding hair accessory was so pretty and her dress was a beautifully simple, strapless, vintage inspired number, so we kept her hair along those lines. Rachel wanted her hair up and out of the way so she wouldn’t have to worry about it once it was styled & her bridesmaids both had ideas of how they wanted their own hair to look, so one decided to keep it down and soft while the other had a soft up do, so although different, they still complimented each other’s look and the bridesmaid dresses. 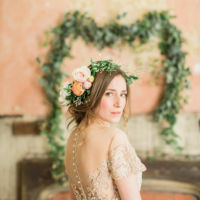 Gorgeous images by Tabitha Starck @The Blushing Peony. 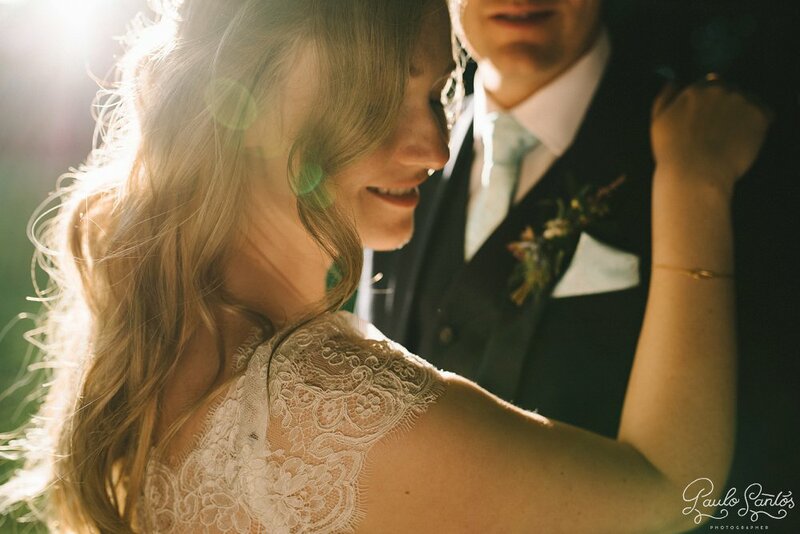 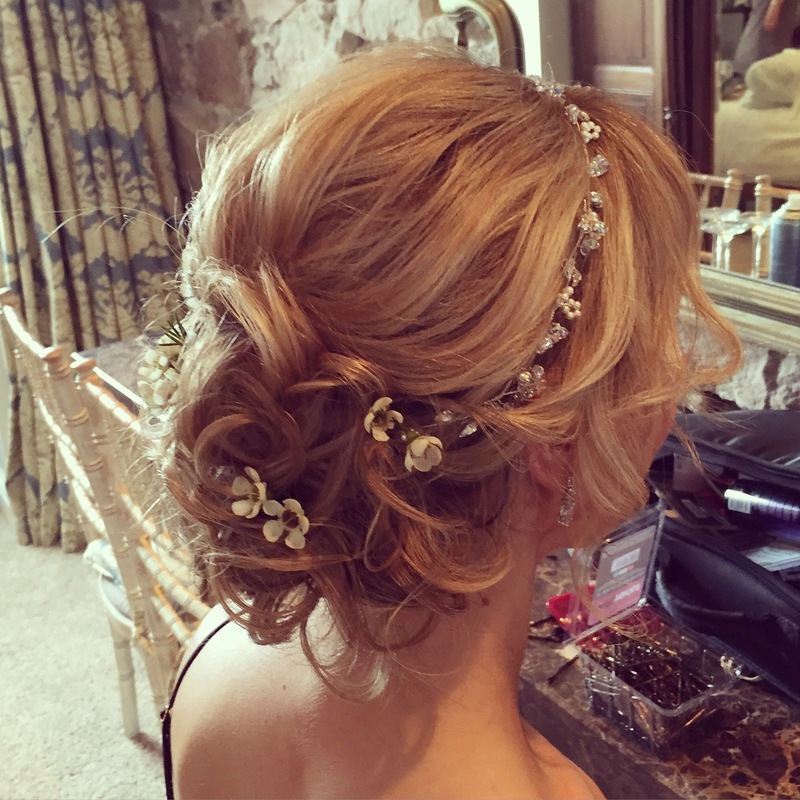 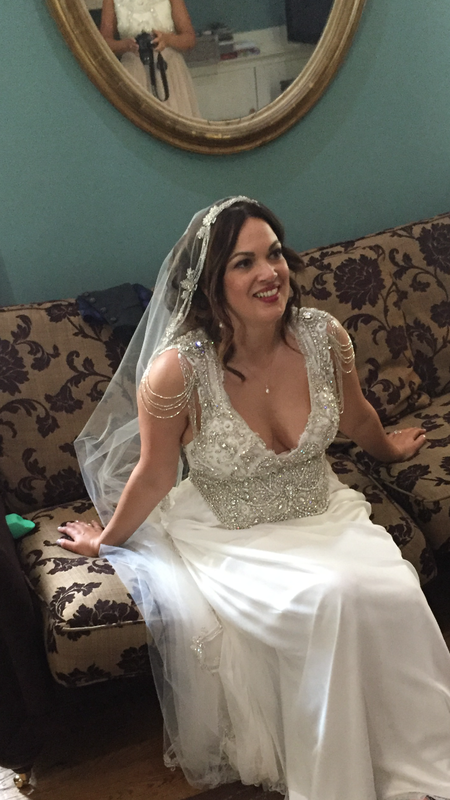 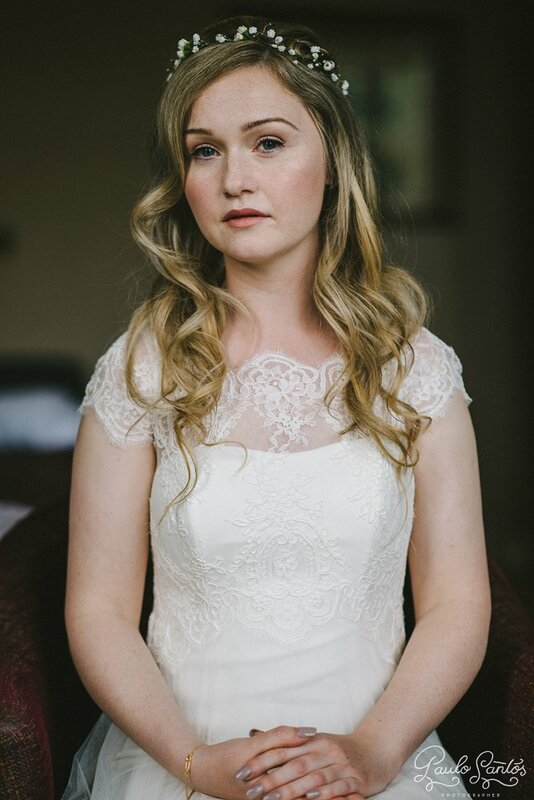 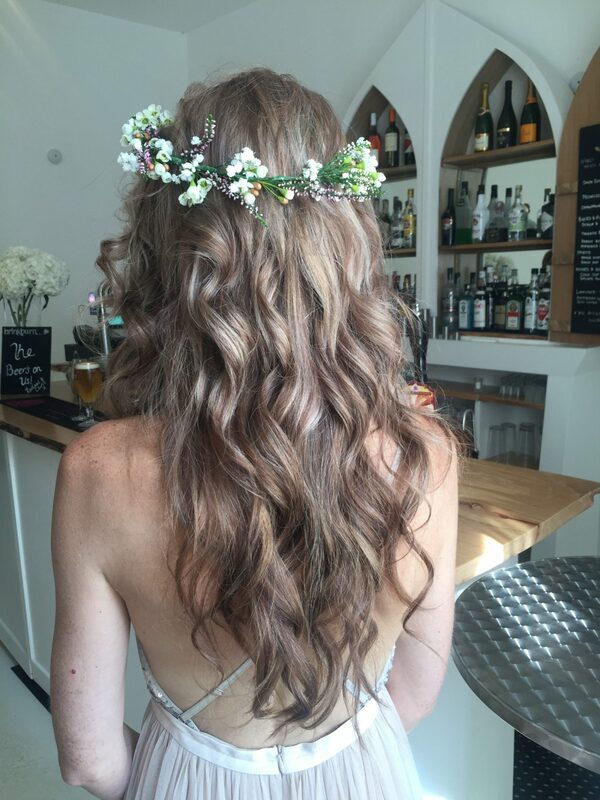 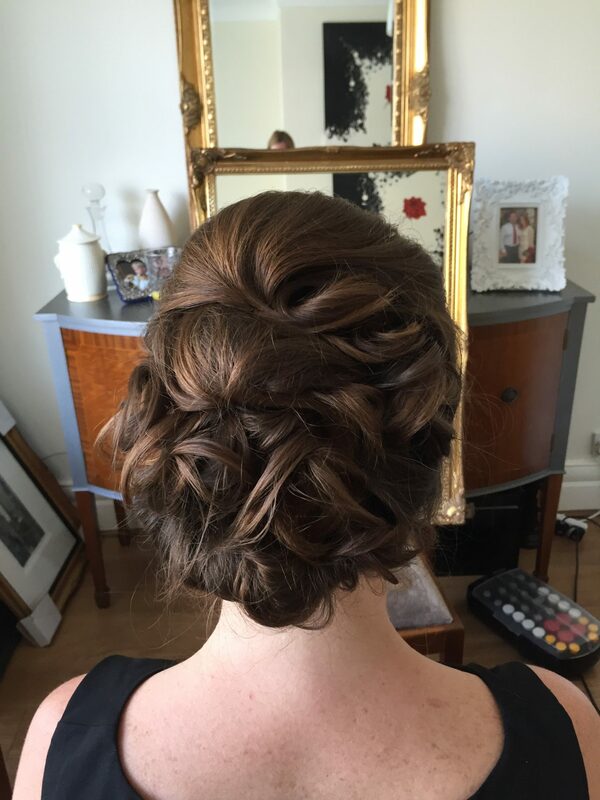 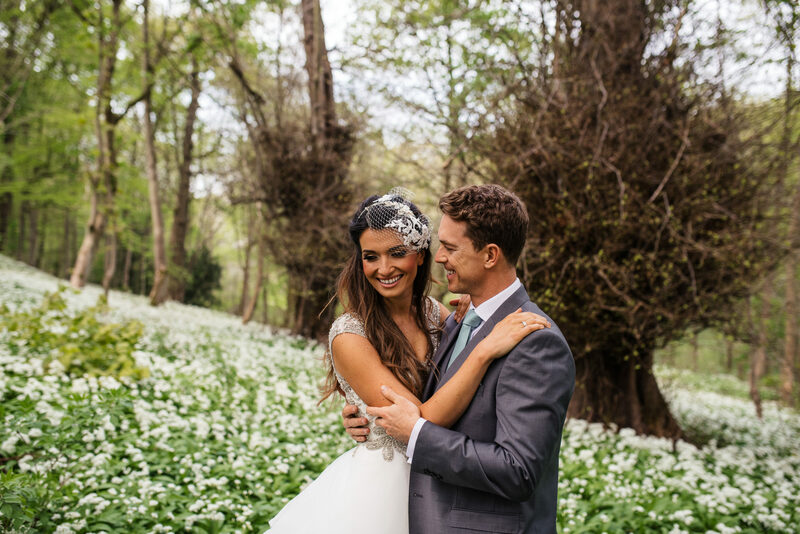 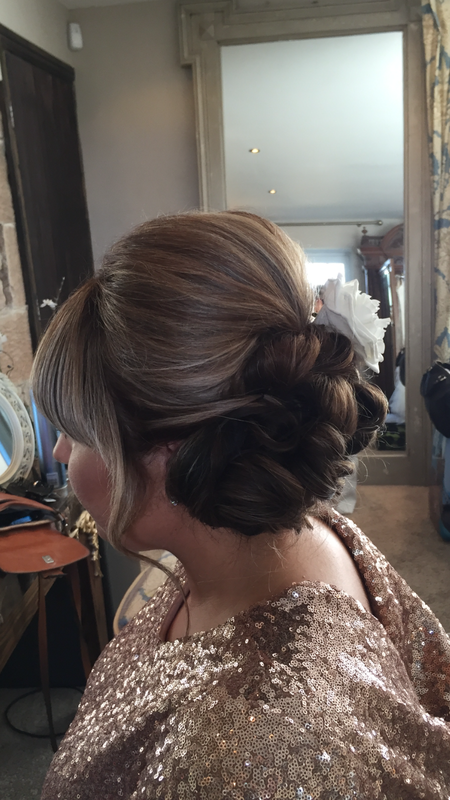 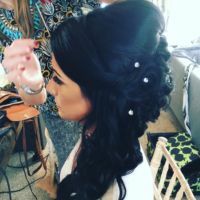 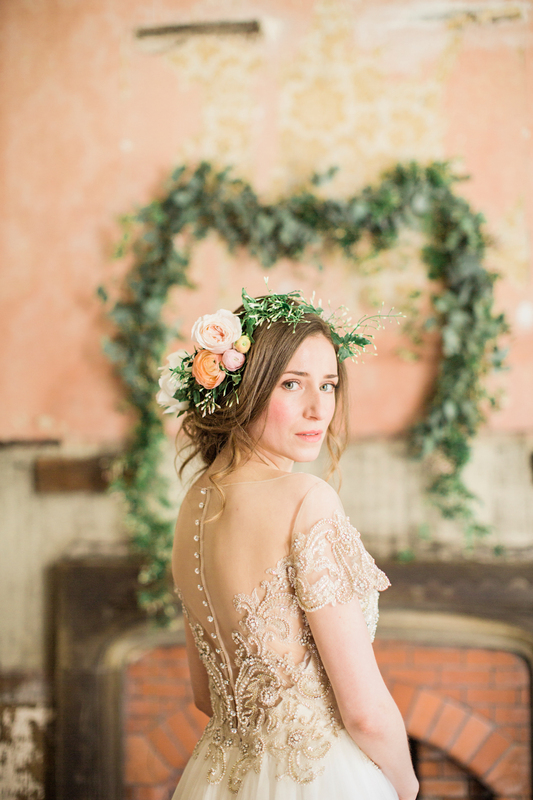 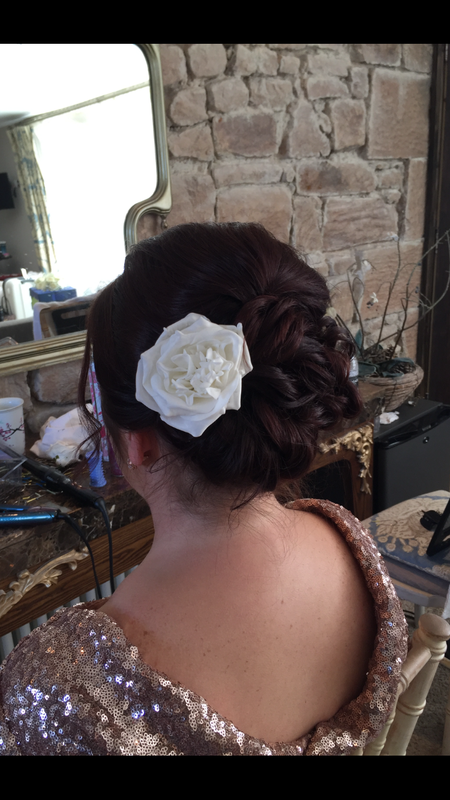 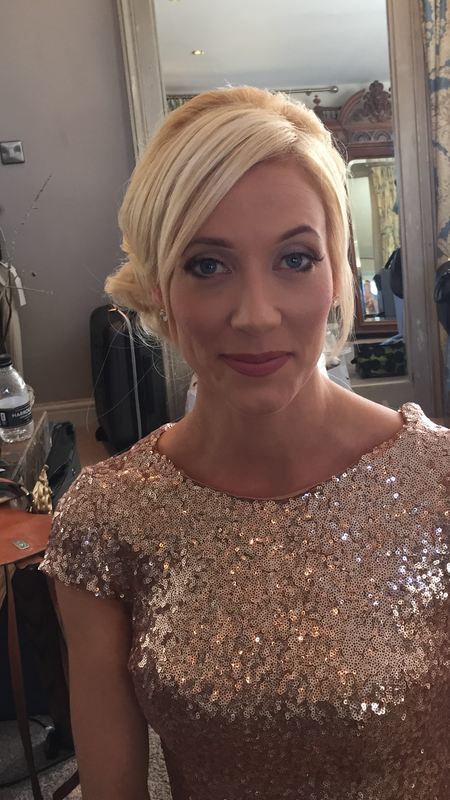 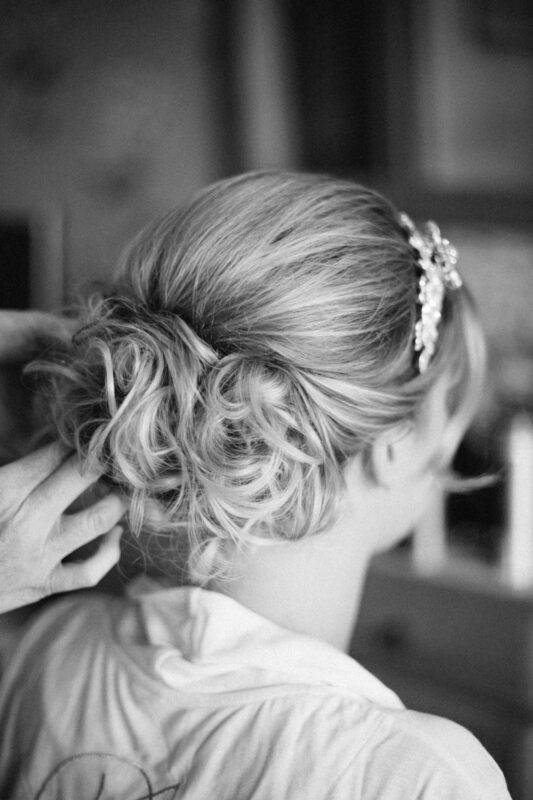 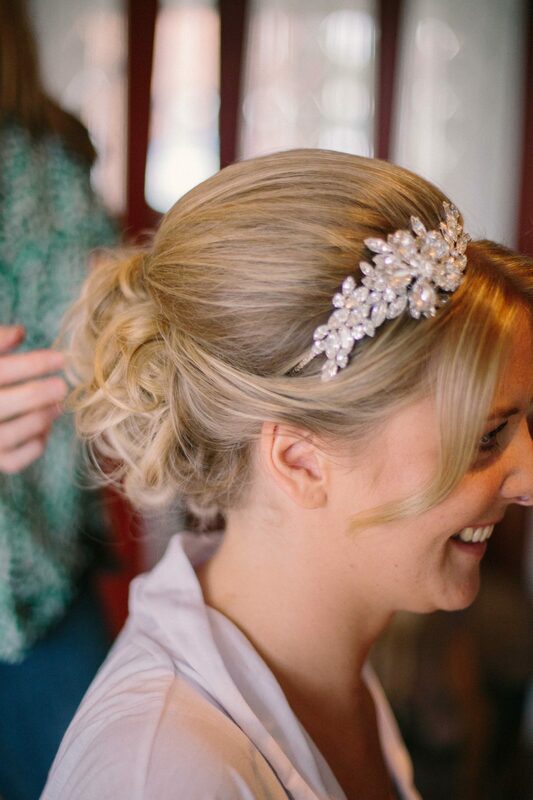 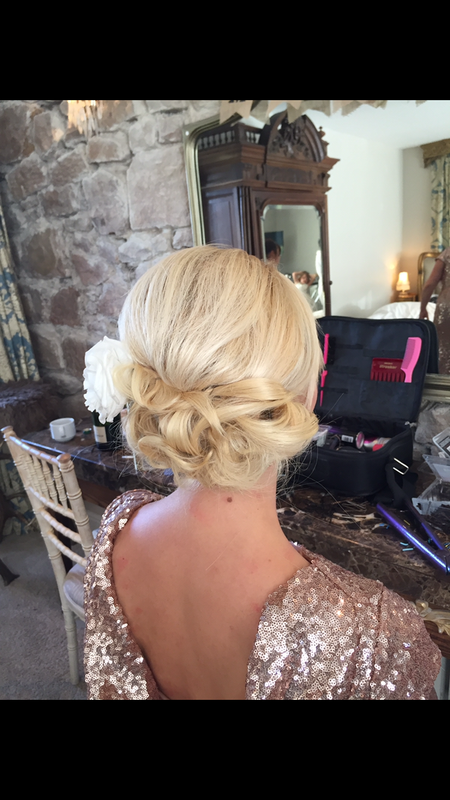 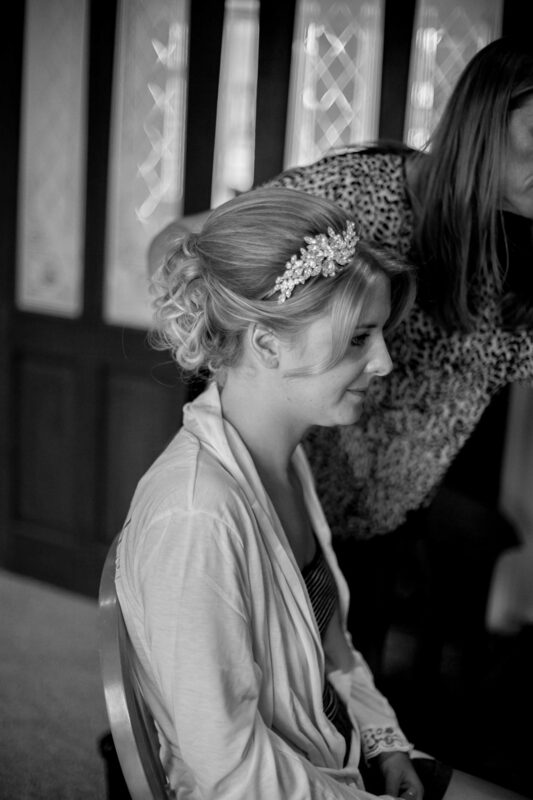 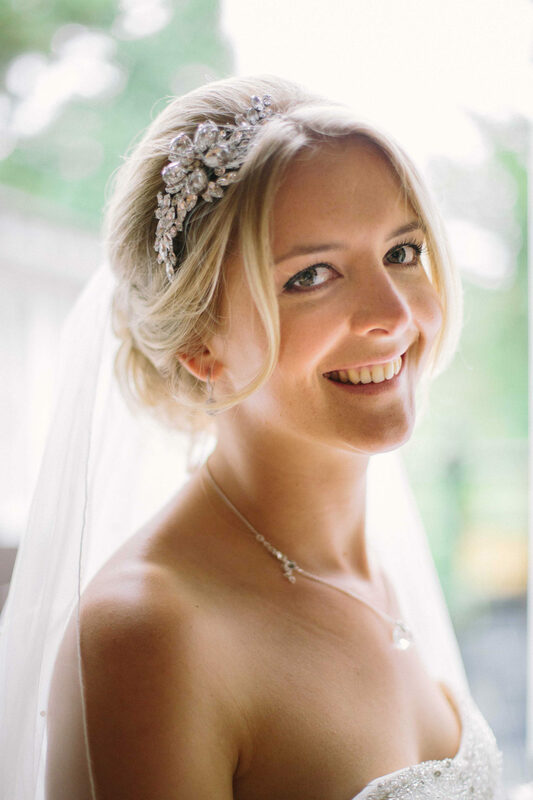 The lovely Louise knew exactly how she wanted her wedding hair to look. 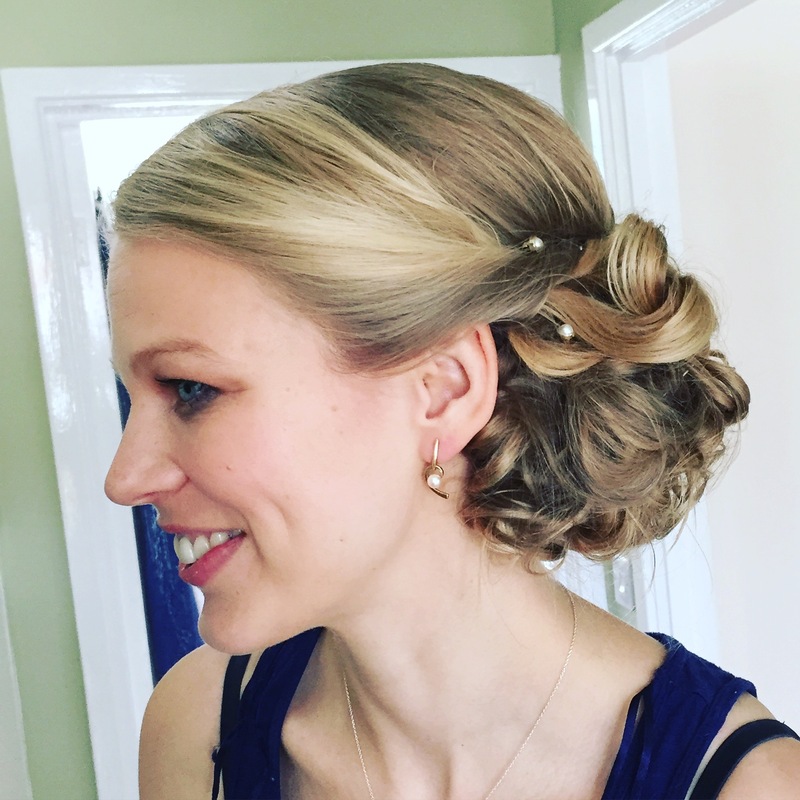 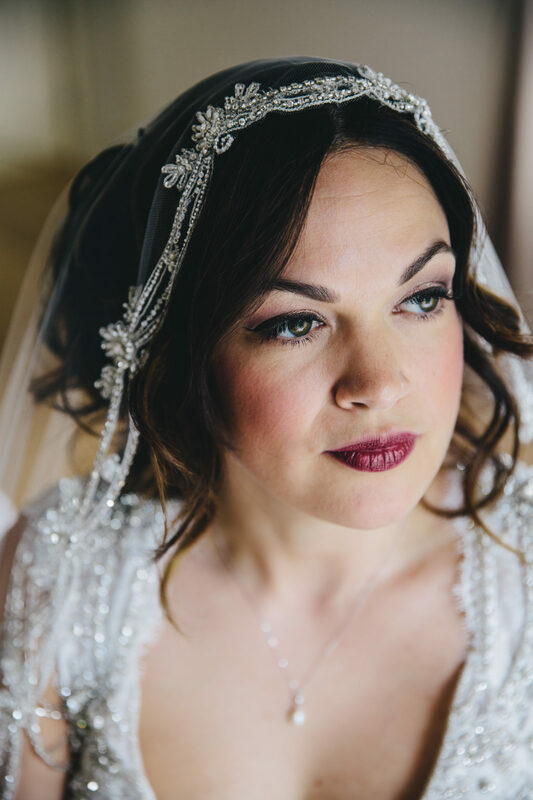 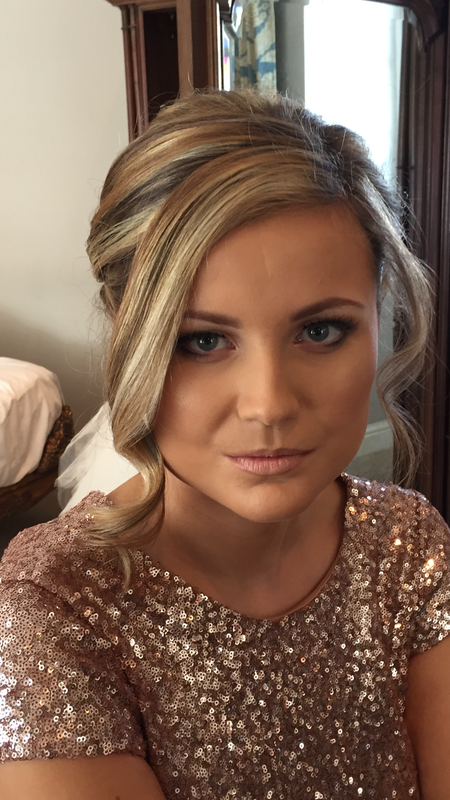 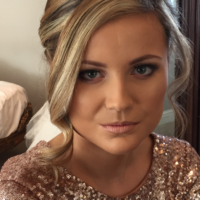 She brought a few images of bridal styles she’d chosen to the hair trial and we then recreated the style to suit her face shape, hair length and texture. 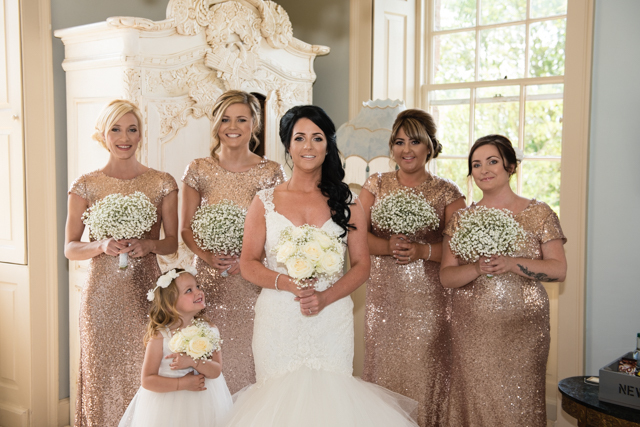 The wedding venue was the stunning Newton Hall in Northumberland, such a nice venue to get married in and get ready with all your friends and family on the morning of your wedding. 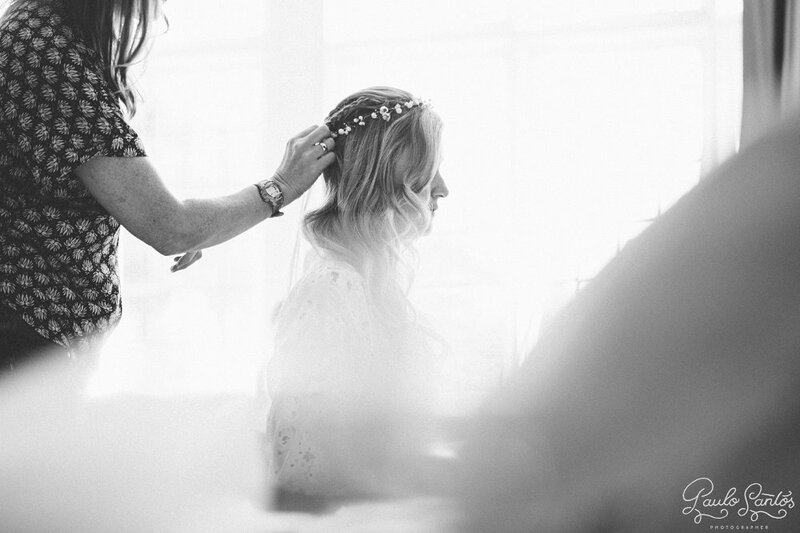 There was a little posse of gorgeous bridesmaids to get ready including a couple of cute little flower girls. 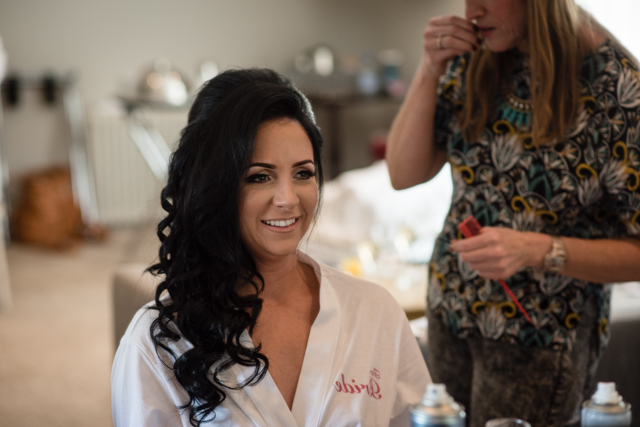 It was such a fun morning glamorising them all for Louise’s wedding day! 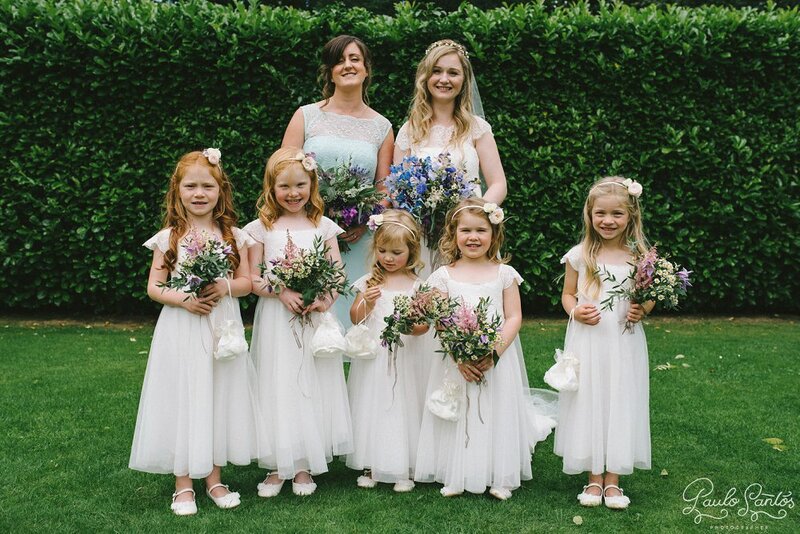 Such a lovely natural look for Christine and her sister, plus a her 5 gorgeous little flower girls. 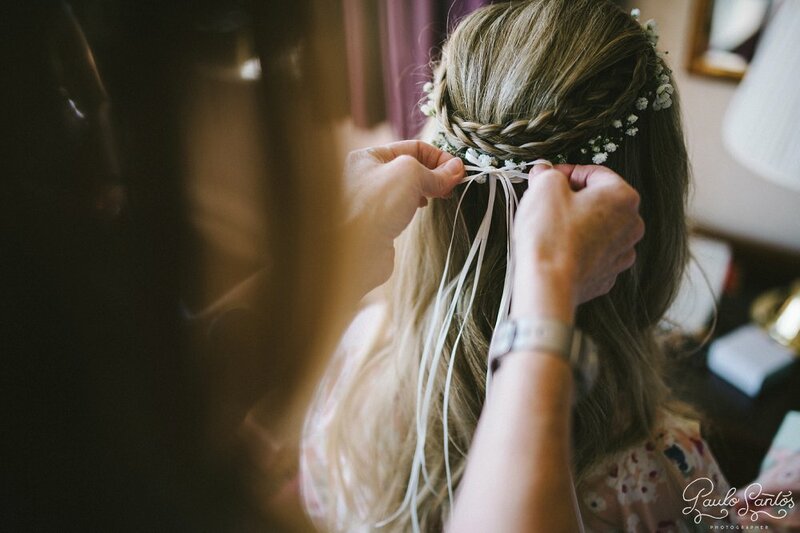 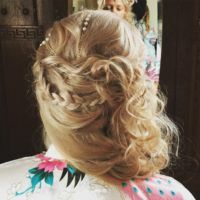 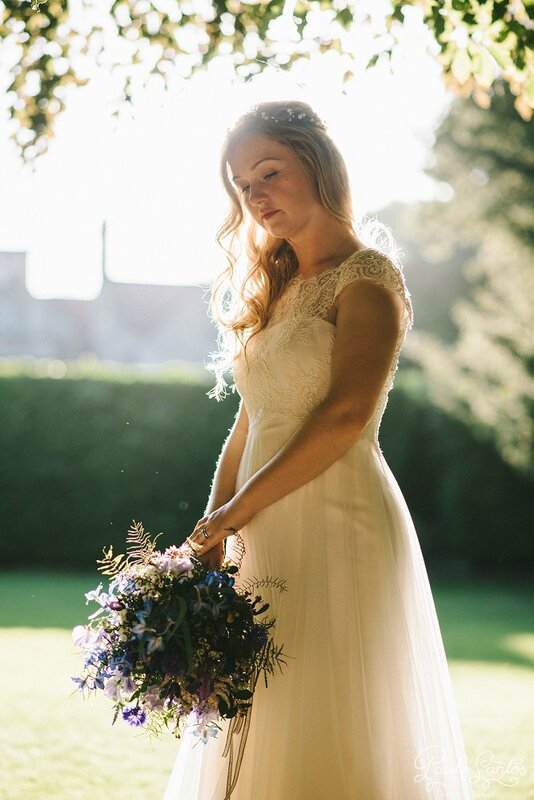 The wedding was at the height of summer and in a fabulous location.Christine wanted the softest of waves with a plait to incorporate her pretty flower crown. 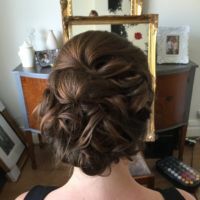 The overall look was very soft and romantic, fresh and young. 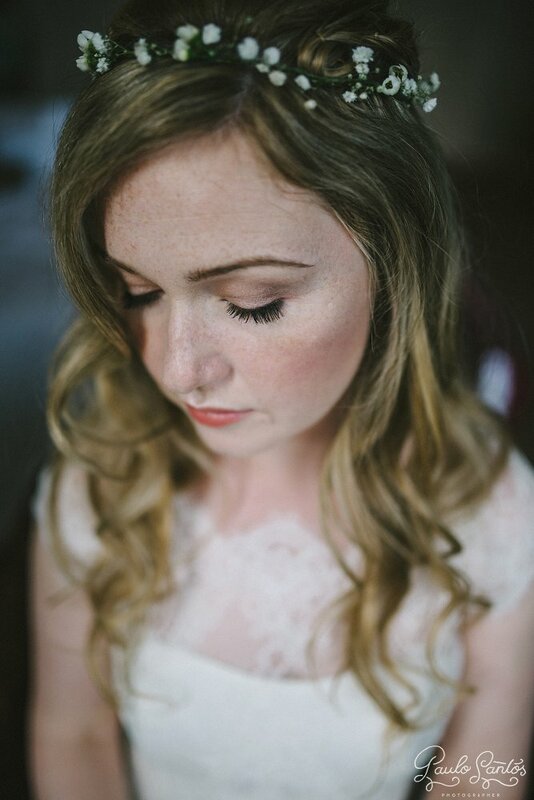 Her make up was kept soft and pretty and her beautiful soft lace dress complimented the whole look. 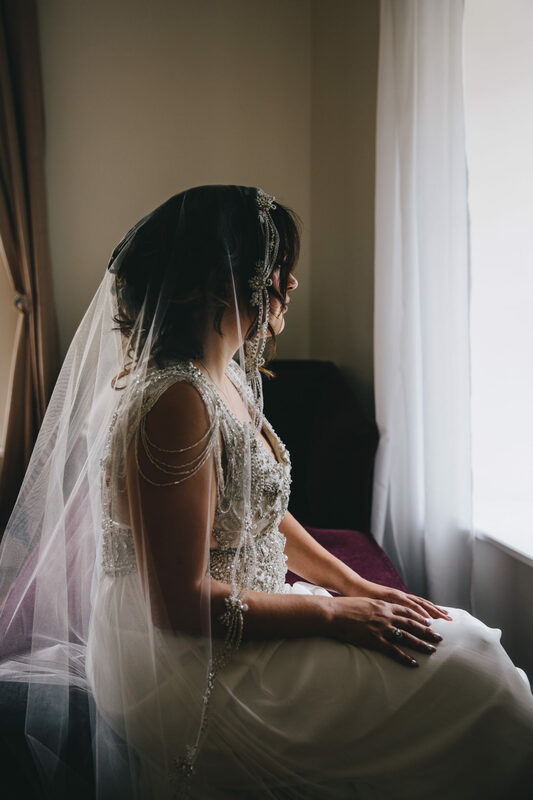 Stunning images captured by the very talented Paulo Santos.